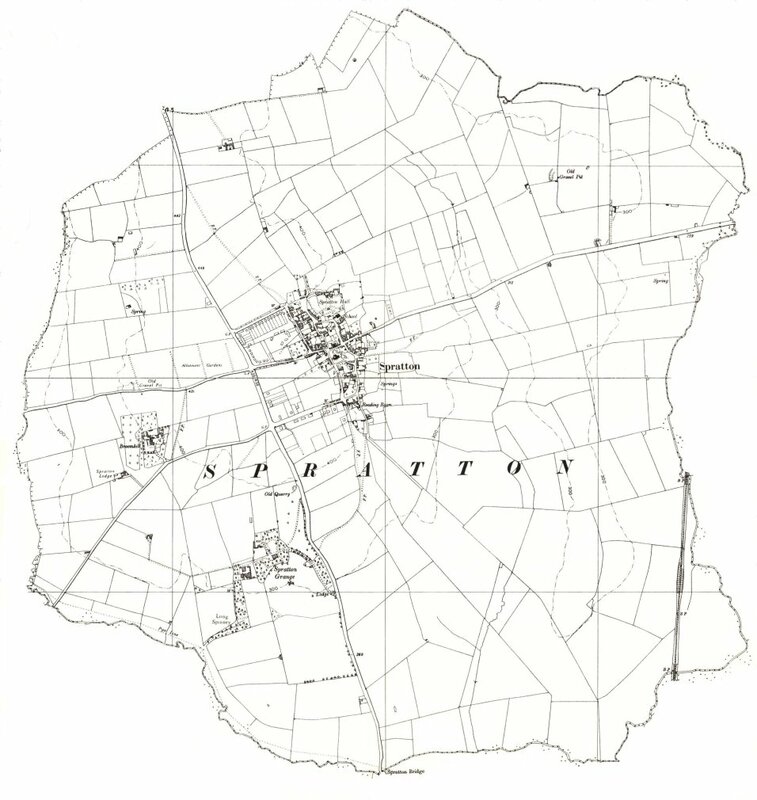 The map used for this is one from the drawing office of the Northampton Light and Power company, presumably from the time of the installation of electricity. 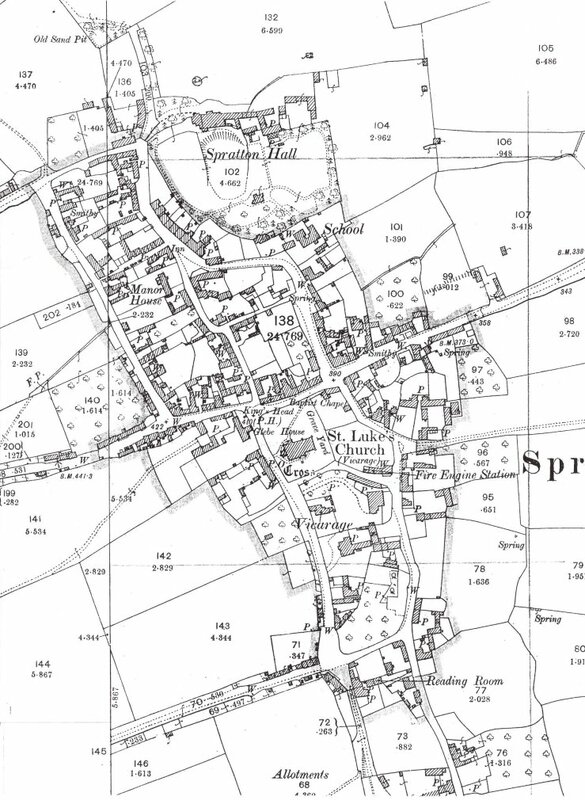 1900 - Ordnance Survey map. 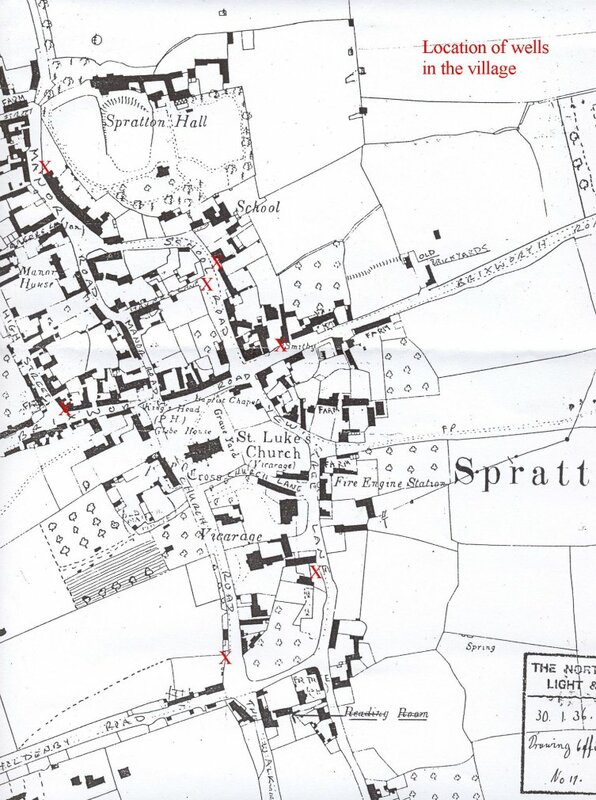 The three versions are of the wider (but not complete) parish; the built village area; and an extract of this with the wells marked in red. 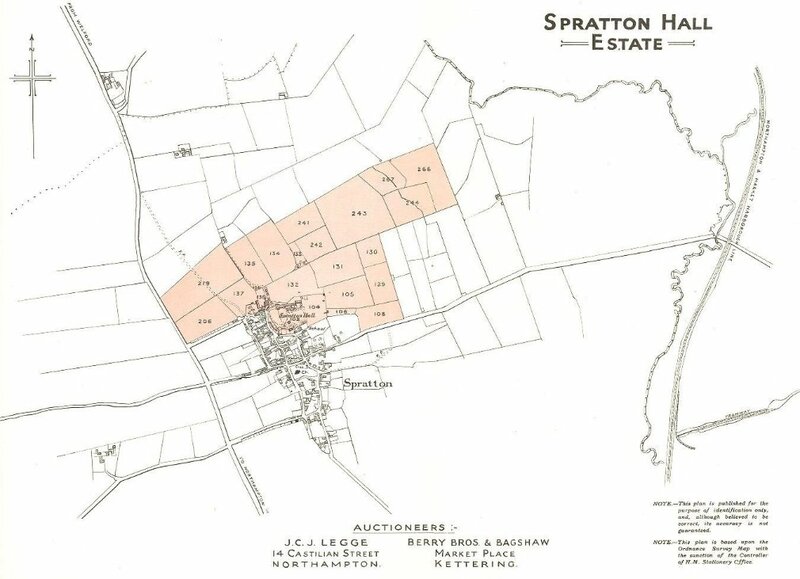 This was an attempt by Francis Beynon Hackett to sell his Estate of some 484 acres, which did not by then include the Hall and 40 acres sold to Robert Ramsden in 1821 (but leased from 1818). None of these Lots sold, as the renewal of earlier mortgages after the sale date testifies. 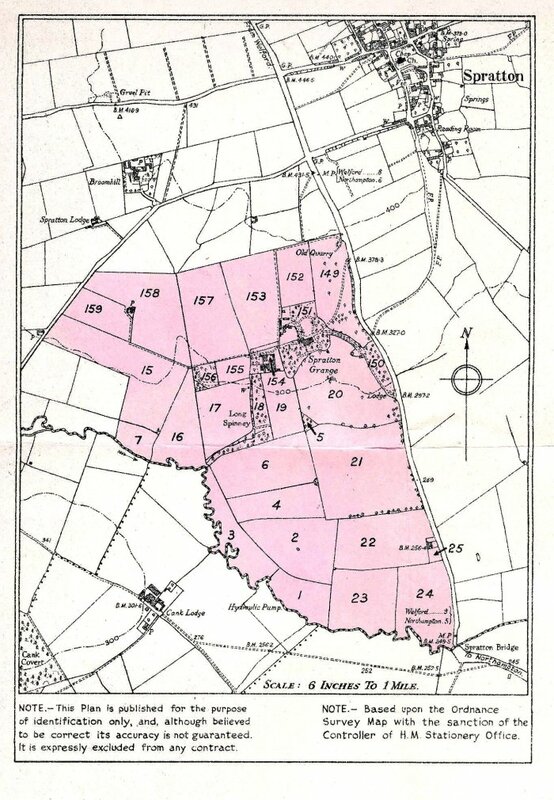 Lot 2 (same in 1926) is the land to the west of A5199, 78--2-6 acres, in the occupation of Peter Martin, Thomas Phillips and Martin Pearson. 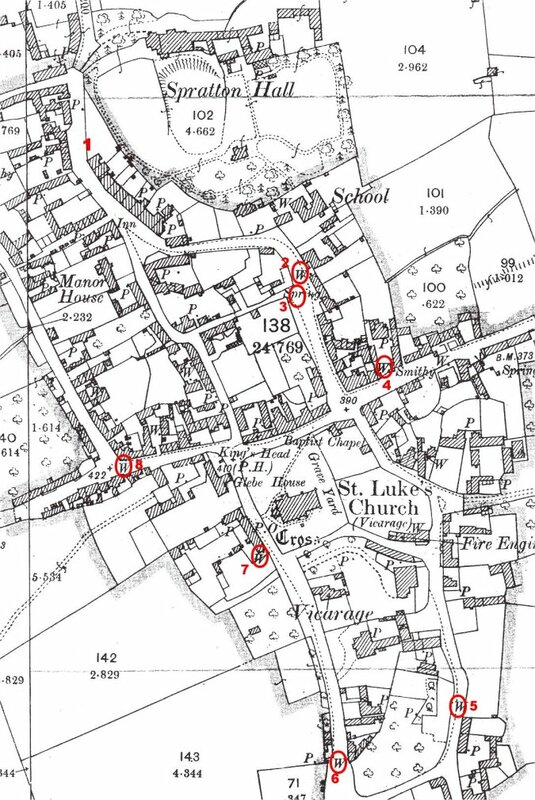 Lots 5, 6, 7, 8 and 9 (Lot 5 in 1986) are the farmhouse and land totalling 90-2-17 acres, in the occupation of Peter Martin with Samuel Tilley having (probably) plots 68 and 69. 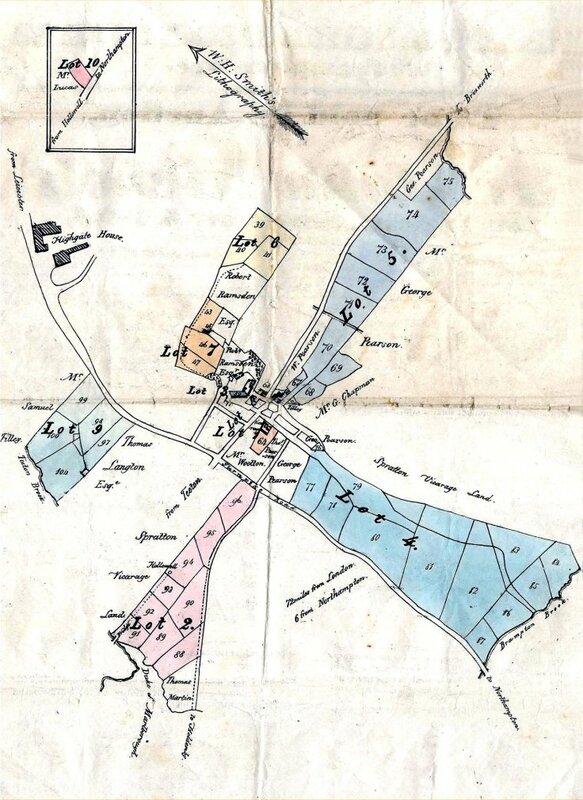 Lot 10 (Lot 6 in 1826) of 23-2-6 acres is in the occupation of Mrs Bosworth. 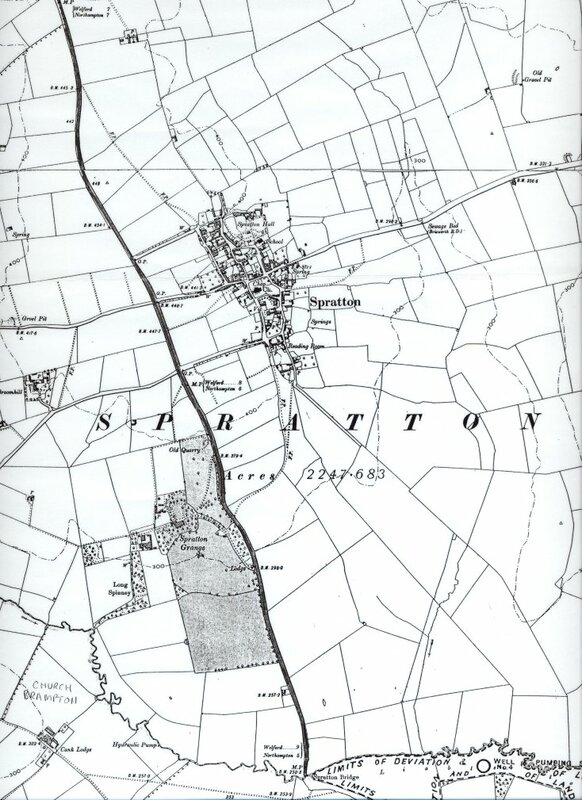 This represents the land owned by the Gilby family's 351-acre farm. 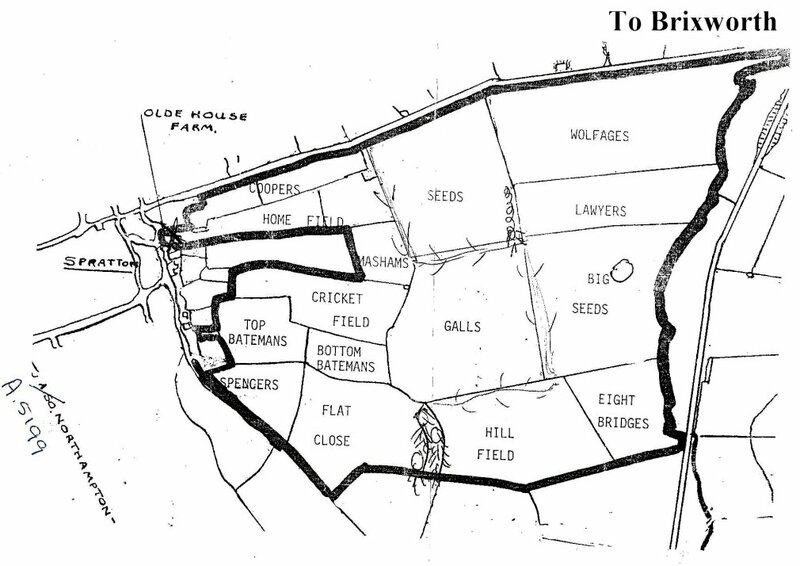 Note the field called "Cricket Field", which is where the Cricket team used to play prior to the Second World War. 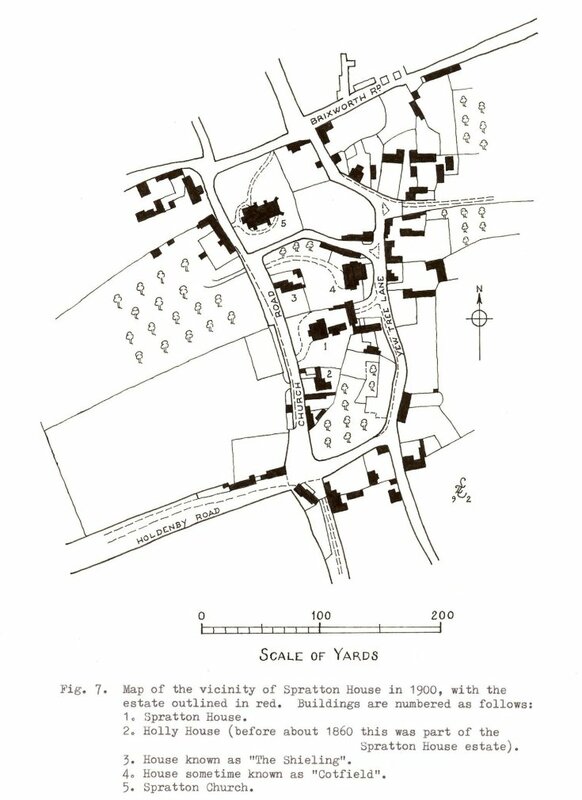 The field was suitable because of a plateau, believed to be the site of a Jacobean mansion, destroyed by fire in the 17th century, which was at the end of Hall Lane.